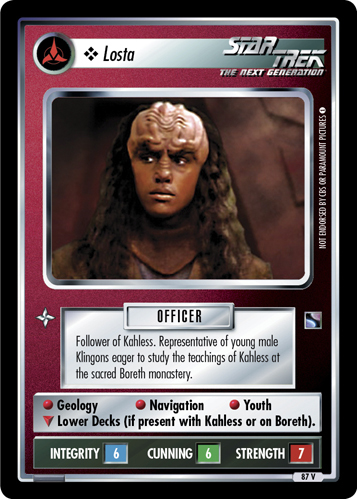 Representative of low-level technicians throughout the Klingon Empire. Before serving on the I.K.S. 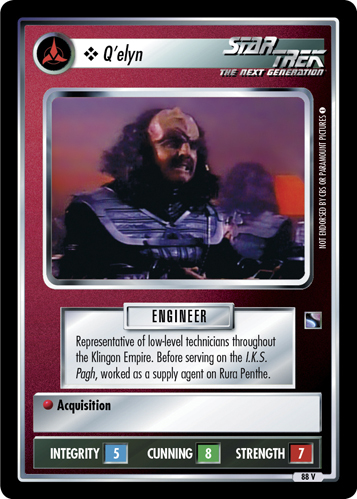 Pagh, worked as a supply agent on Rura Penthe.